Blockchain being a nascent technology has a lot to offer to users around the world. Despite being in an initial phase of development, it has shown some impressive results. Here, this technology is used to solve various long-time issues in different sectors and industries. Furthermore, cryptocurrency being a part of blockchain technology has also seen light of the day recently, after years of struggle. While there is a long list of cryptocurrency options, Lisk offers a reliable platform to users and developers. Does Lisk offer better alternative? Well, Lisk is in the market for some time now, it doesn’t offer an alternative to digital currency in the form of cryptocurrency but it offers a more reliable Lisk network to developers. Here, they can test, develop and deploy Lisk network to work on decentralized applications. If you are considering Lisk as your next investment option, we suggest you read this before. 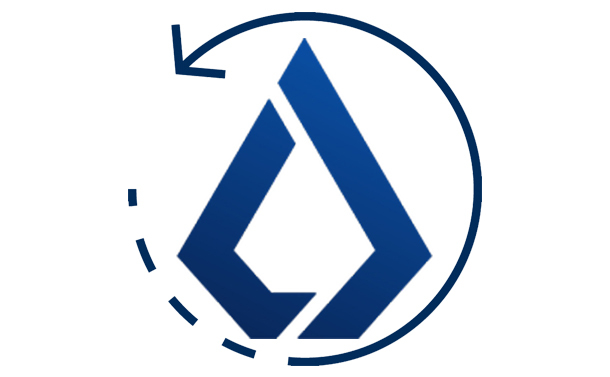 Meet Lisk: Lisk is a decentralized application (DAPP) and a sidechain development platform that was created to empower and connect next generation blockchain creators. The main aim of this community-focused ecosystem is to inspire future developers to create, collaborate, and make the necessary changes the way connected systems around us are working now and tomorrow. In addition to providing a DAPP platform, Lisk is also a modular cryptocurrency with ticker LSK. It is not designed to use as a digital currency instead you can use this token currency to fuel the Lisk network. You can also build it on Lisk network to make the transactions within the network. The initial funding: Lisk came up with its ICO (initial coin offering) for 100,000,000 LSK to create and distribute it amongst early supporters including core team, advisors, partners, ICO advisors etc. In early ICO it has raised $5.7 million which was a huge support and considered as a fourth highest crowdfund for any cryptocurrency. 1. Sapiens: Sapiens is planning to integrate with the core of academic ecosystem to allow users manage records, certifications and other reputational data. Though it is in an early stage of development it has plans to launch an ICO on Lisk platform. 2. Moosecoin: The Moosecoin ICO is ongoing since late 2017, now they are trying to launch a beta version of the platform with ICO in Q2 2018. “Moosecoin” is owned by Moosty, which is a decentralized organization for musicians. It works in making music distribution, ownership rights, and royalties a much smoother process. 3. Moracle: Moracle is in process to build an inexpensive, fast, programmable and decentralized oracle service for Lisk ecosystem. Moracle is planning to launch the first MRCL token on Lisk decentralized exchange in Q3 2018. 4. CoinAngels: Next in the list is CoinAngels that uses the power of “Angel” tokens to support digital driven companies in their early stage. Here, it has plans to build on Lisk network. How should you see Lisk as an investment option? Well, the future of LSK price performance and Lisk network totally depends on how programmers, developers, and startups take this new platform to develop decentralized applications. It is not a digital currency you can use to buy stuff though it offers an option for investors to invest their money. Further, it has also entered into a partnership with Microsoft Azure where developers can use this cloud computing platform to test, develop and try Lisk blockchain application. When it comes to investing in Lisk, you can opt this modular cryptocurrency if you don’t mind investing in highly-speculative and risky cryptocurrency market.